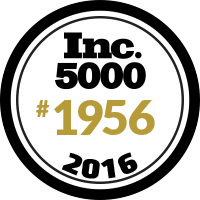 EZ-Fit wood shed kits are made in the USA. They offer panelized wall sections with 24 inch on center spacing between studs. All EZ-Fit sheds come with 60 inch wide double doors for easy access and lockable door handle for security. 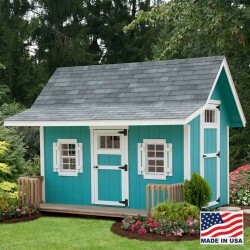 Customize your shed with flooring, windows, flower boxes, ramp and other options. 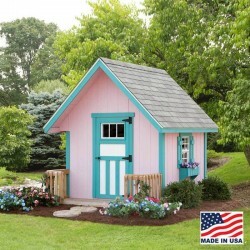 EZ-Fit also offers playhouses, chicken coops and dog kennels. Free Shipping On All Orders!